(太 極 拳 術) by Li Shoujian (李壽籛). 100 pages. Cover is missing, but the book is complete. Includes numerous photographs, a few illustrations, and several fold outs. 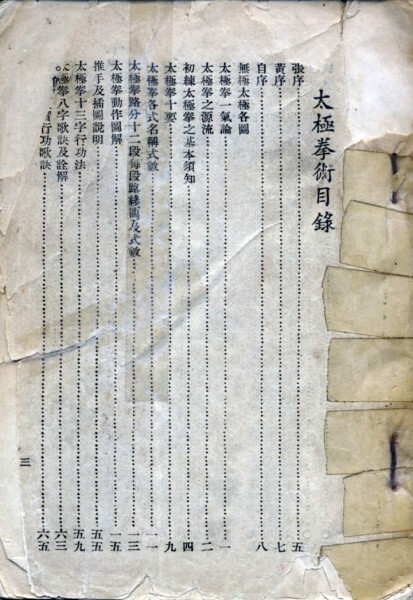 Original Chinese edition, printed in 1956. Yang Style Taijiquan. 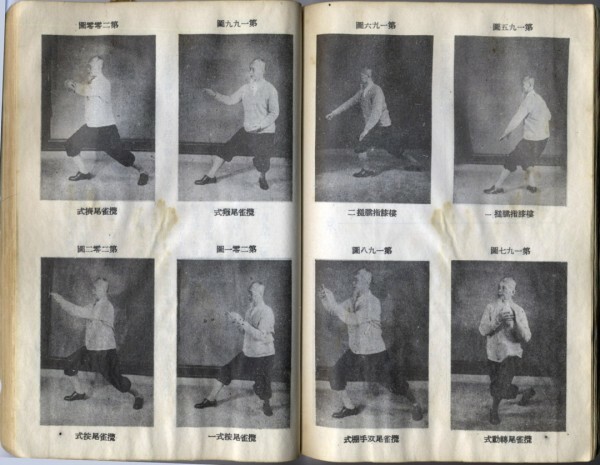 Li Shoujian appeared in the Pushing-Hands section of Prof. Cheng Man-ching’s book on Tai Ji Quan, as did Master Liang, but neither were mentioned by name. 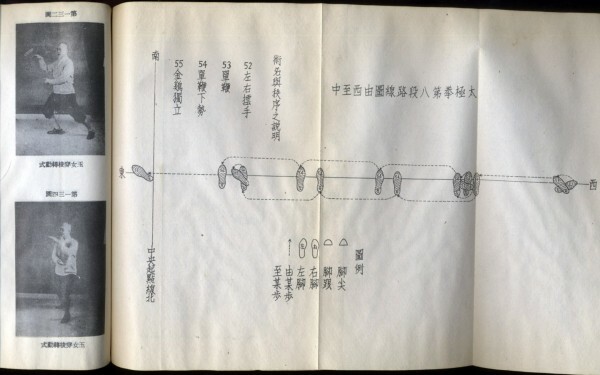 Li Shoujian had studied directly with Yang Jianhou and Yang Shaohou of the Yang family in China. Li Shoujian studied Shaolin Kung Fu for ten-plus years before taking up Taijiquan with the Yang Family. Master Liang held Li in great esteem and considered his skills of the highest order, which had to have been true considering Master Zhang Zhijiang (張之江) and Master Huang Zongyao (黃宗堯) highly praised Li in their introductions to his book.